As students prepare for midterms, papers, presentations and other stressful activities, they might be waiting…. and waiting…. and waiting…. 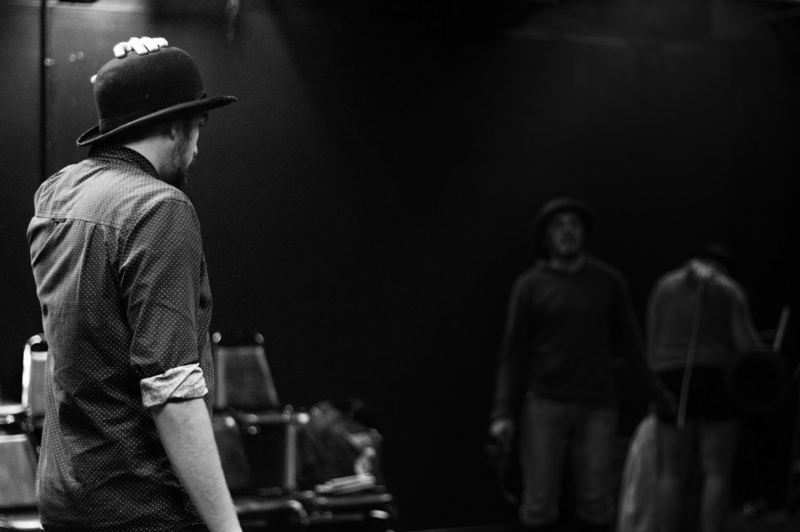 The UCCS Theater Company will put on “Waiting for Godot,” their last student-directed play before moving into the Ent Center for the Arts in January 2018. “Waiting for Godot” will run Sept. 29- Oct. 8 at 7:30 p.m. each Friday, Saturday and Sunday in the Osbourne Studio Theatre. The show is free for UCCS students with a valid ID. The play explores the different personalities four characters and how they pass the time while waiting. The characters’ personalities oppose one another, but when they are paired together, they seem to complete each other. In the play, two highwaymen, Vladimir (senior theater major Jareth Spirio) and Estragon (junior theater major Holly Seidcheck) wait for a man named Godot. But Godot’s true identity, along with when he will arrive, is never revealed. This will be Seidcheck’s first time performing in a play. Seidcheck recently switched majors from communication to theater and was initially terrified to pick up the role because of the production size and commitment level. Under Mize’s direction, Seidcheck has been able to embody this character and act as herself, she said. Spirio also found that playing Vladimir was a challenge that tested everything he has learned as a performer. “This is one of the hardest plays to do; Vladimir is a very difficult character. There is so much left to interpretation and what could be represented in this play,” said Spirio. Pozzo, played by sophomore theater major Sean Sharif, and Lucky, played by senior theater major Eleanor Sturt, also make an appearance. While Mize has directed “Waiting for Godot” for six weeks alongside fellow UCCS students and faculty this semester, her passion for the play began in high school. “‘Waiting for Godot’ is a play that is famously existentialist, and being a person of faith, it seems very ridiculous that I would be so passionate about this play. Yet for me, I have always felt a deep personal connection to it,” said Mize. According to Mize, Samuel Beckett, writer of “Waiting for Godot,” left the play completely up to interpretation and made its characters very relatable and identifiable. Mize believes that Beckett magnified the everyday task of waiting. Traditionally, Beckett’s characters have been played by male actors. However, Mize created her play so it exists in a gender-ambiguous world, which is very unique and not commonly done for this particular play. “Waiting for Godot” is an iconic play for many reasons, according to Spirio. “This is a German expressionist play that was written during World War II and deals a lot with trying to understand who we are as a people and rebuilding forward. When this was made, there were not a lot of other plays like it, so it really paved the influential route for a lot of new theater,” said Spirio. In her own life, Mize relates to this almost painful and never-ending sense of waiting, on a very personal level. “My mother is handicapped in a wheelchair, and she can’t fully take care of herself. She’s been that way since before I was born and progressively over the years has gotten worse,” said Mize. “There is a loving quality there where I got to take care of her, but at the same time there are moments when I ask, ‘am I ever going to leave home? Am I waiting for some kind of absolution?’” Mize said. For more information on the UCCS Theater Company, visit uccs.edu/vapa/index/theatre/uccstc.html.